Faith and the gang play the game, “What’s the most interesting meal you ate this week?” and their answers are bound to make you hungry (and thirsty). 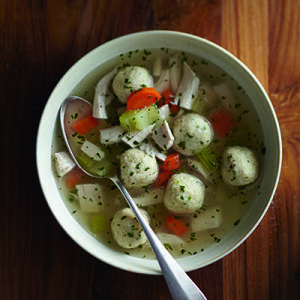 Plus, we get ready for Passover with recipes and ideas from Leah Koenig, the author of Modern Jewish Cooking. Whether you cook the classics, like Matzo Ball Soup, or put a spin on your seder dishes (think: Spinach-Matzo Lasagna! ), Leah’s got you covered. Plus, we’ll get a food flick preview from Harriet Dobin, the director of the Hartford Jewish Film Festival, happening from March 31 through April 10. This festival is the place to be for food and film lovers alike. Finally, Alex Province shares a beautiful rosé wine we want to buy by the case. A note on the music: our guest Leah Koenig pointed us to the beautiful music that opens her segment. It’s called Cheryl’s Theme, by the group Sandcatchers. The band’s talented guitarist, Yoshie Fruchter, happens to be Leah’s husband. You can hear the entire song and watch a video of the performance on his web site, YoshieFruchter.com.